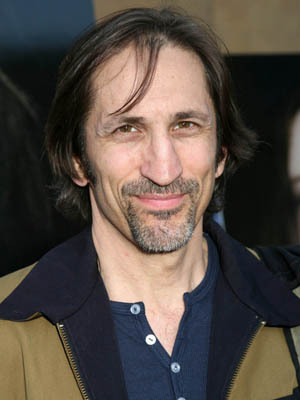 Born in New Rochelle, New York in 1954, Richard Edson was a drummer and trumpet player in New York City when he was cast by his friend Jim Jarmusch as Eddie, one of three main characters in the independent filmmaker's first feature "Stranger Than Paradise." From that auspicious debut, the actor has appeared in more than 16 films including Spike Lee's "Do the Right Thing," in which he played Vito; Oliver Stone's "Platoon," Barry Levinson's "Good Morning, Vietnam," John Hughes' "Ferris Bueller's Day Off" and Mike Binder's "Crossing the Bridge." He plays the title role in Steven Starr's critically acclaimed "Joey Breaker," as Joey, the tunnel-visioned talent agent who comes to learn that there is more to life than ambition. Edson will also appear in Gramercy's "Posse" this spring. He also appeared regularly as the ex-prize fighter Wilmer Slade on the NBC series "Shannon's Deal," created by John Sales. Realizing that he would be there for 10 weeks, Richard then drove his car from New York to North Carolina in a 1971 24z. He received a three-bedroom on the water with a boat and basketball court, which is where he stayed for the duration of the production. Of the new scenes, perhaps the two most influential were the idea to evolve Spike and Iggy’s characters to make them more involved in the third act of the film rather than de-evolve them and the (cut) Iggy and Spike rap sequence during the Boom Boom Bar scene. Since Super Mario Bros., Richard has worked on over 63 television shows and films. He is also a photographer of miniature toy figures. The style of his photography brings the tiny objects into a larger world full of what he calls "dreams, visions, or solutions to problems not yet even imagined."